SA Public Library and Berri Barmera Library Service customers can access a number of online resources (also known as subscription based databases) via the Internet using their current library membership card and PIN. All South Australian Public Libraries have access to Overdrive eBooks & Audiobooks, Wheelers eBooks, RB Digital eMagazines, Lynda Online Training Videos, Road to IELTS and Ancestry.com. Currently both Berri and Barmera libraries can provide you with access to World Book Encyclopedia Online, Choice Online and Carter’s Price Guide to Antiques. Berri library also subscribes to eLibrary for registered borrowers. Click on the logo image for access to the logon page and depending on the service you may be required to enter your library card number and/or PIN. We have also included some website links to FREE useful information sources. Phone the Berri Library on 8595-2666 or Barmera Library on 8588-2872 if you require assistance. Choice magazine ensures the consumer voice is heard loudly and clearly. The magazine allows consumers to get the most out of all their purchasing decisions by providing a mix of advocacy and advice. Please note, access to Choice Online is only available on designated computers within the Berri and Barmera libraries. World Book Online Encyclopedia is an industry leader in the production of award-winning encyclopedias, reference sources and digital products for the home and schools. World Book sets the standard in publishing accurate, current, and reliable reference and learning materials for children and adults. You will need to enter your Berri or Barmera One Card library borrower number to access this service. 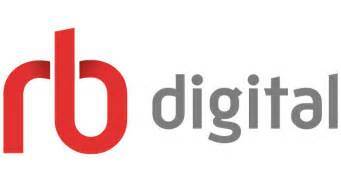 RB Digital is a resource that provides you with access to Free digital magazines. You can view online, or on your smart device using a freely available RB Digital App. Hundreds of popular magazine titles are available like Women’s Weekly, GQ, Muscle Car, Better Homes & Gardens, Golf Digest, Elle, Food Ideas, Skateboarding & National Geographic to name a few. You will need to enter your SA library one card borrower number to access this service. A general reference tool, delivering a broad collection of periodical and digital media content. Researchers of all ages can access the powerful, yet easy-to-use search interface to find the answers they need from magazines, newspapers, books, transcripts, maps, images, web links, and audio/video titles. Please contact the Berri Library for access details.This online resource is particularly useful for our Glossop High School senior students. Read a great book lately and want to read another one? Not really sure what to read next? If this is you, there are plenty of web resources available out there to help…The link on the left takes you Who Writes Like but there are a number of other free useful online resources you could try, including Fantastic Fiction, Gnooks and Which Book. A useful resource for finding all the books in a particular series is What’s Next: Books in Series. Ancestry provides access to an extensive range of genealogical resources from the United States and United Kingdom, including census, vital, church, court, and immigration records. Also provides limited Australian coverage. Please note, access to Ancestry Library Edition is only available on designated computers within the Berri or Barmera library. eBooks & Audiobooks are available from OverDrive (this includes access via the new Libby app) and ePlatform by Wheelers. You can borrow electronic books and audiobooks and read or listen to them on your computer or portable device. Most users of this service download the free Libby or ePlatform Apps (available for iOS and Android) and access the services from their smart phone or tablet. Lynda.com is an IT and software, creative & business online video training resource covering topics like Web design, 3D animation skills, digital photography, photo editing like Illustrator and Photoshop, Web developer skills etc.To use this service you will be required to enter your library borrower barcode and your PIN. SA Community is South Australia’s Community Information resource. The website will lead you to information about help available from government, non-government and community services throughout our state. You can search by organisation, subject or services to locate the contact details you need. SLASA Online Reference Generator is available for Junior (abridged), Middle and Senior levels. This resource creates citations for a comprehensive range of sources and allows you to copy & paste into your bibliography. An easy to ready rollover describes each element of the citation and examples are provided for in-text references for each source. The SLASA Harvard Online Referencing Generator is only available to our Glossop High School senior students as subscribers.